What a great way to get everyone to eat vegetables. This Chicken and Broccoli perfect for a busy night. Perfect weeknight meal. Place broccoli in a steamer and place over a pan of boiling water. Cover and steam for 5 minutes, until crisp tender. Set aside. Brown chicken in skillet over medium heat. Remove chicken to a plate. In the same skillet, add onions, celery, salt, crushed red pepper and garlic powder, stirring, cook about 5 minutes, until tender. Add cream of chicken soup and water, bring to boil, reduce heat and simmer. 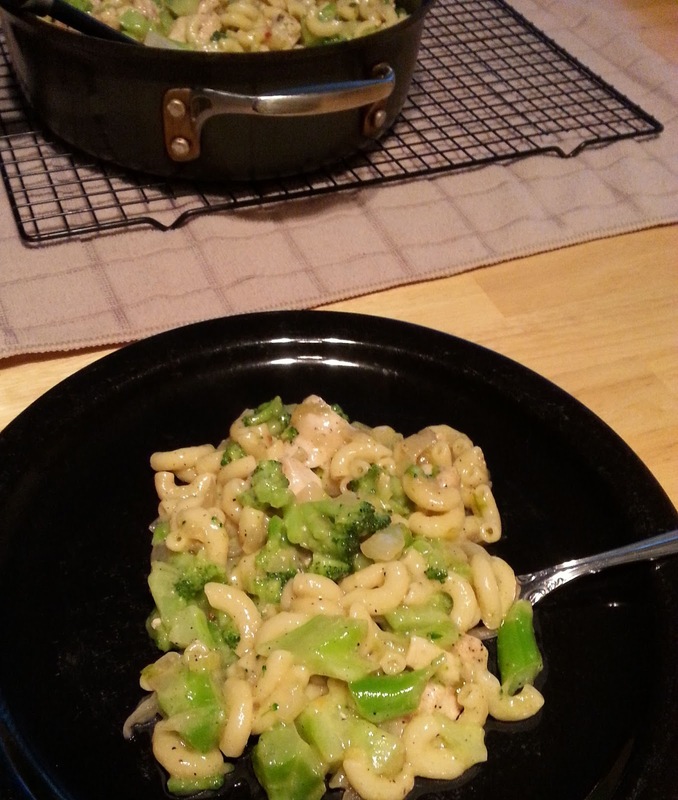 Stir in cooked chicken and pasta. Heat through.